Should the council of the Lithuanian Social Democratic Party endorse the strife stated by the majority of the party's branches to leave the ruling coalition with the Farmers and Greens Union, the party's ministers and heads of parliamentary committees will have a week to decide on their future in the posts, says Social Democrats' leader Gintautas Paluckas. 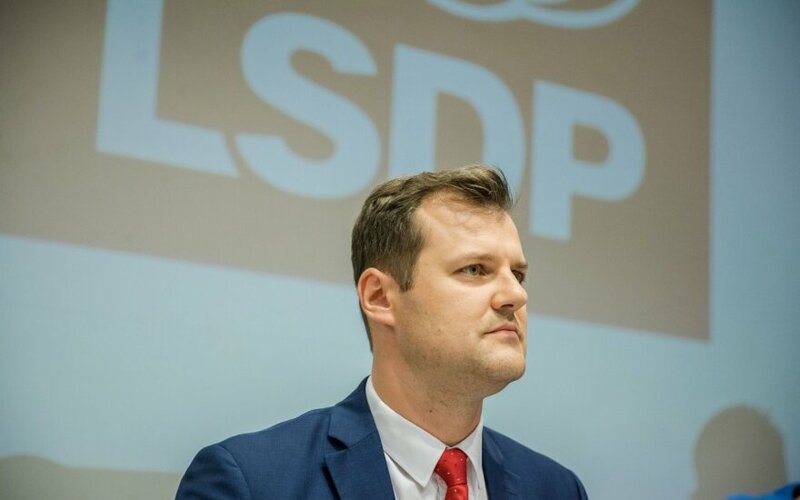 In his words, if politicians decide to oppose the will of the LSDP council, they may have to have their membership suspended or canceled. "If the decision is to leave, we will take the certain steps: give our party's members holding political posts in the government and Seimas committees to decide what they want to do after the decision. Afterwards there will be a period of technical consultations with former coalition partners, i.e., what would change, if someone leaves or stays, if they need competent specialists at least for some time," said Paluckas. He said the Social Democrats "do not want chaos," therefore, would give a certain transition period after decision of individual ministers or committee chairmen. Paluckas said he would not comment on the positions stated by the party's ministers about the Social Democrats' future in the coalition. Some 43 of the 60 branches of the Lithuanian Social Democratic Party want the party to leave the ruling coalition with the Lithuanian Farmers and Greens Union, while the majority of the Social Democratic Party's political group, 13 out of 19, do not want to leave the coalition. The bid to withdraw from the ruling bloc are LSDP-delegated Foreign Minister Linas Linkevicius and Economy Minister Mindaugas Sinkevicius. Prime Minister Saulius Skvernelis did not rule out that three of the party-delegated ministers, including Justice Minister Milda Vainiute who is not a member of the party, could stay in the government, even if the Social Democrats were no longer members of the coalition. Regardless of the opinion differences, Paluckas does not see a threat of the party's splitting. In his words, even if the party leaves the coalition, the Social democrats would not rule out working as a constructive opposition and even secure support on certain matters. Also, it is possible for some Social Democrats remaining in posts upon LFGU request. The LSDP council will make the final decision on the party's future in the ruling coalition on Saturday. Until the meeting, Paluckas said he would not meet with LFGU leaders to avoid tensions.